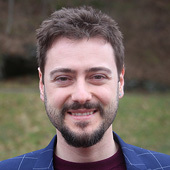 Dr. Dimosthenis Kifokeris is Assistant Professor in Construction Production and Management of Construction Projects at Chalmers University of Technology, Division of Construction Management, Department of Architecture and Civil Engineering, Gothenburg, Sweden (02/2019-). His main research interests include construction production, construction informatics (machine learning, blockchain, Internet of Things, and Building Information Models), holistic construction project management, constructability, and risk analysis. Dimosthenis participates in domestic and international collaborative research between the academia and the industry. His interdisciplinary scientific perspectives include data science, applied statistics, organizational theory, and strategic management. In his Ph.D. at the Aristotle University of Thessaloniki, Greece (A.U.Th.) (07/2014-11/2018), titled "Risk-based Constructability Assessment in Civil Engineering Projects", he implemented unsupervised and supervised machine learning for the integration of construction management frameworks. He formerly was a project researcher and academic assistant at Chalmers (11/2018-01/2019), and a doctoral researcher and teaching assistant at A.U.Th. (07/2014-11/2018). He has worked as an engineering consultant (2008-2018). He has a M.Sc. in Engineering Project Management (2013, A.U.Th. ), and a M.Eng. in Civil and Structural Engineering (2012, A.U.Th.). He is a member of the Technical Chamber of Greece (2012-), the International Association for Life Cycle Civil Engineering (IALCCE) (2016-), the International Association for Bridge and Structural Engineering (IABSE) (2019-), and TUD COST Action TU1406: Quality specifications for roadway bridges, standardization at a European level (BridgeSpec) (2015-2019). He has been authoring and reviewing scientific journal papers, peer-reviewed conference papers, workshop papers, posters, and theses. Det kan finnas fler projekt där Dimosthenis Kifokeris medverkar, men du måste vara inloggad som anställd på Chalmers för att kunna se dem.